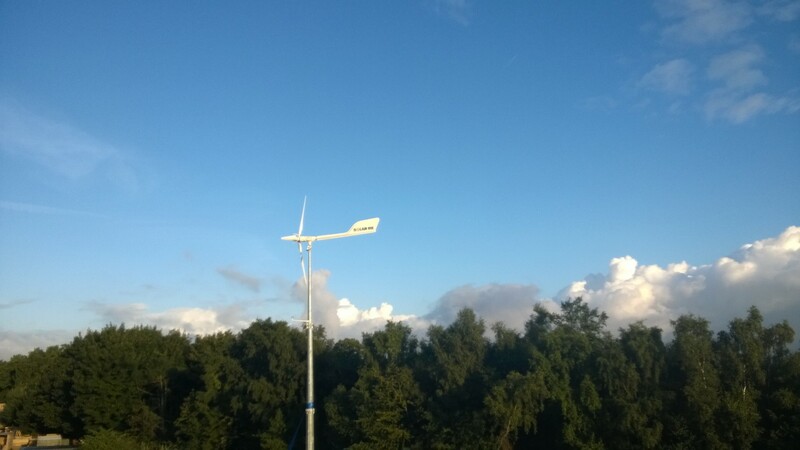 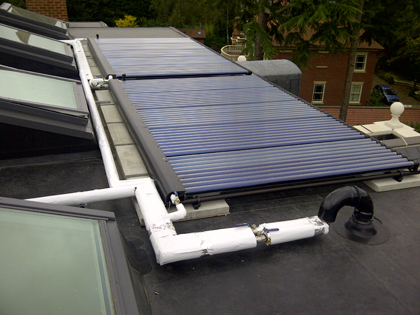 The solar hot water systems were installed at the time of construction. 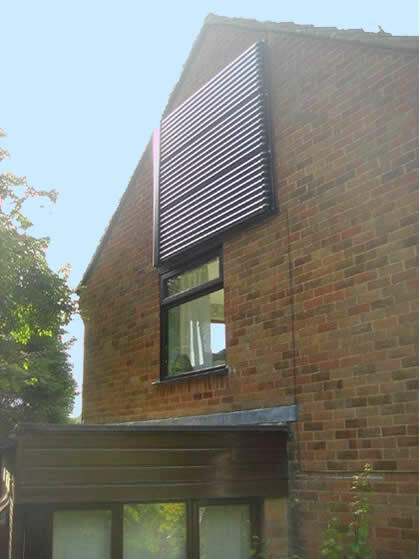 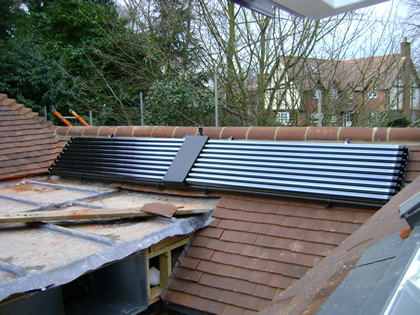 This allows for integration into the roof structure. 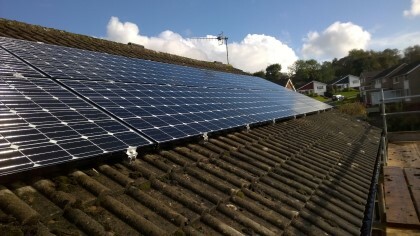 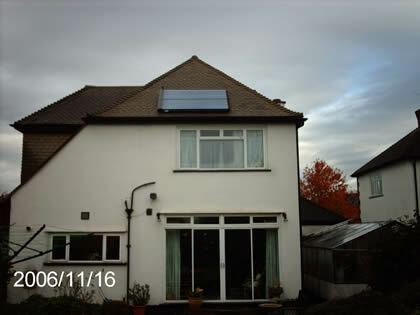 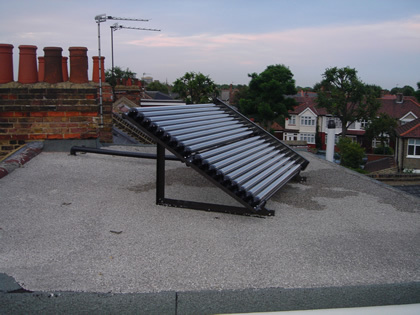 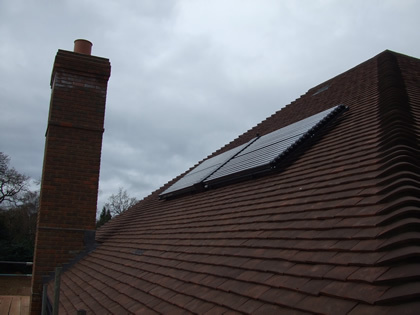 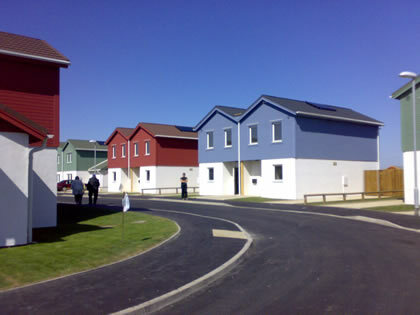 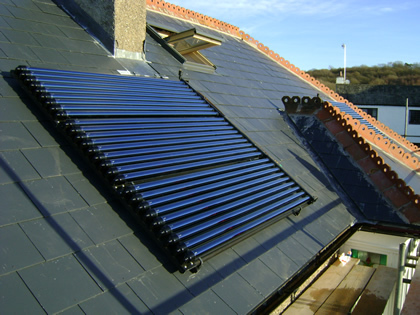 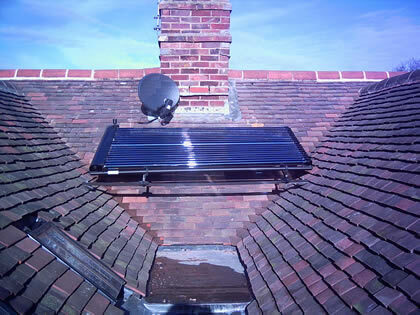 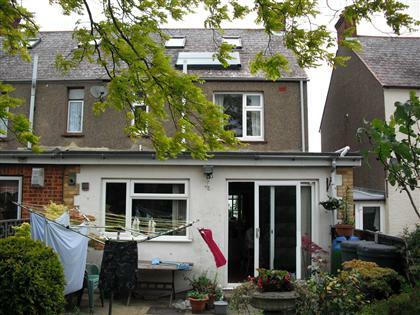 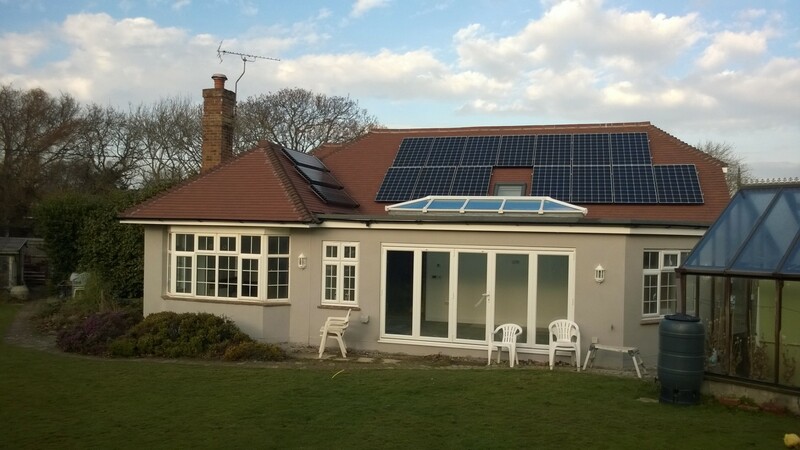 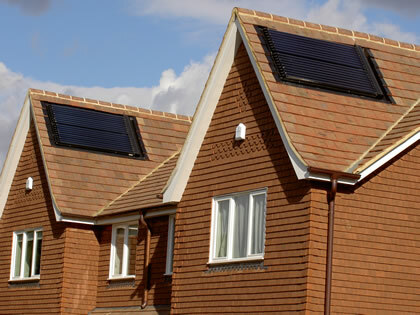 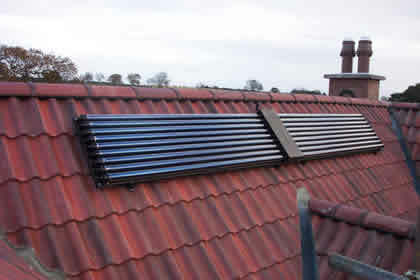 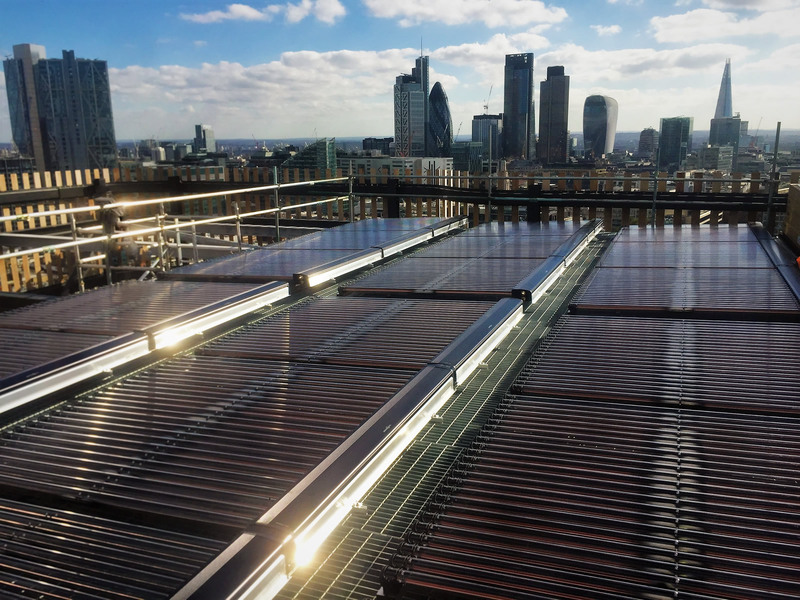 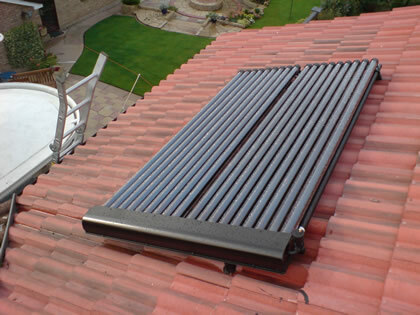 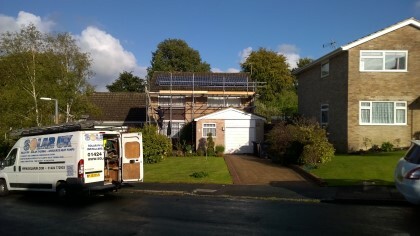 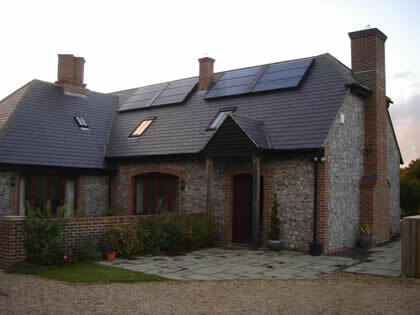 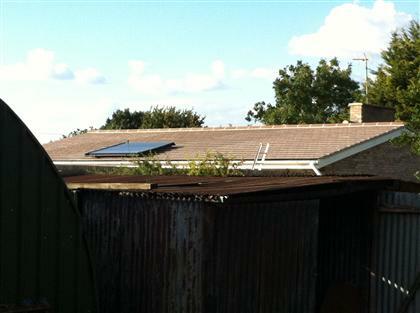 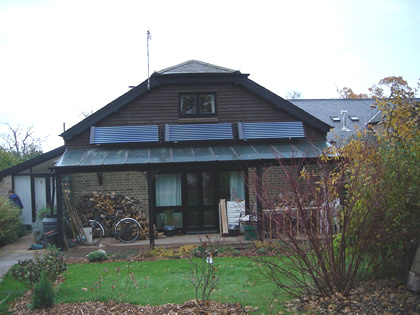 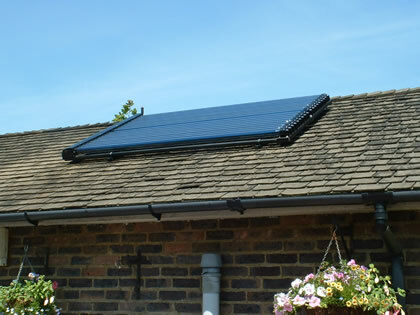 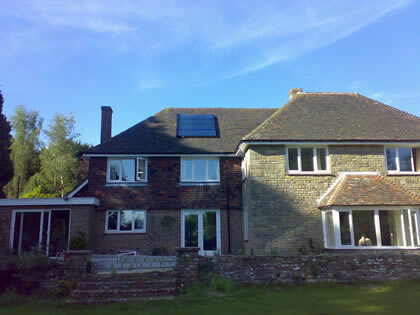 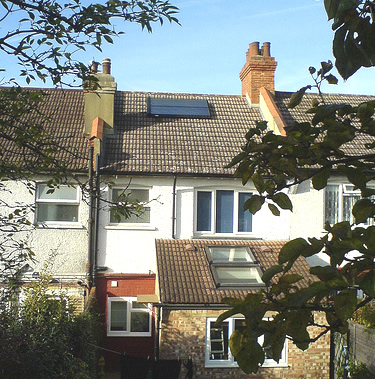 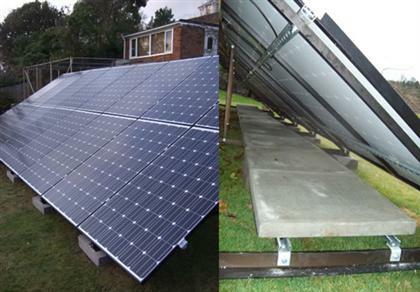 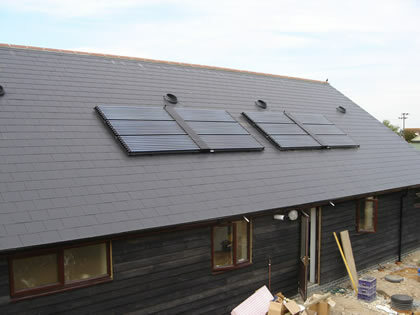 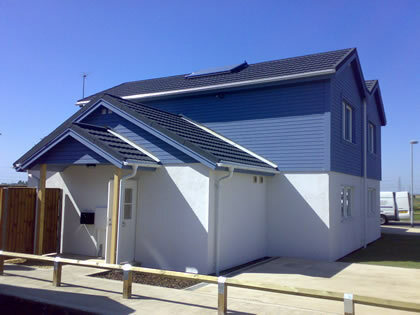 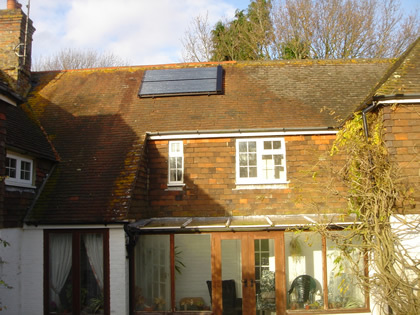 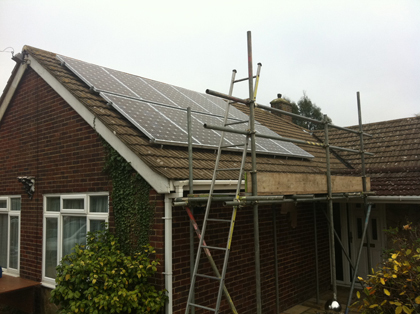 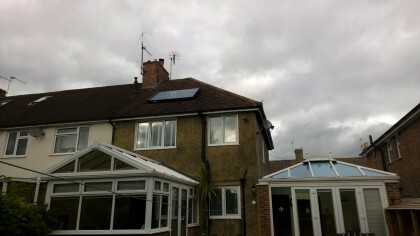 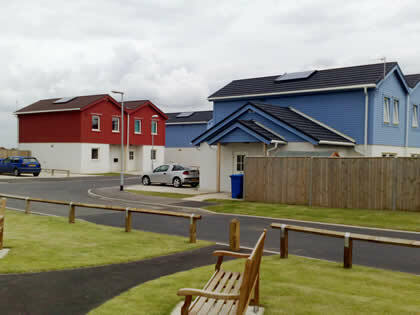 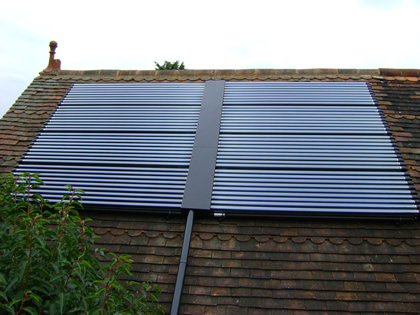 The solar heating systems can be seen to be recessed into the roof.